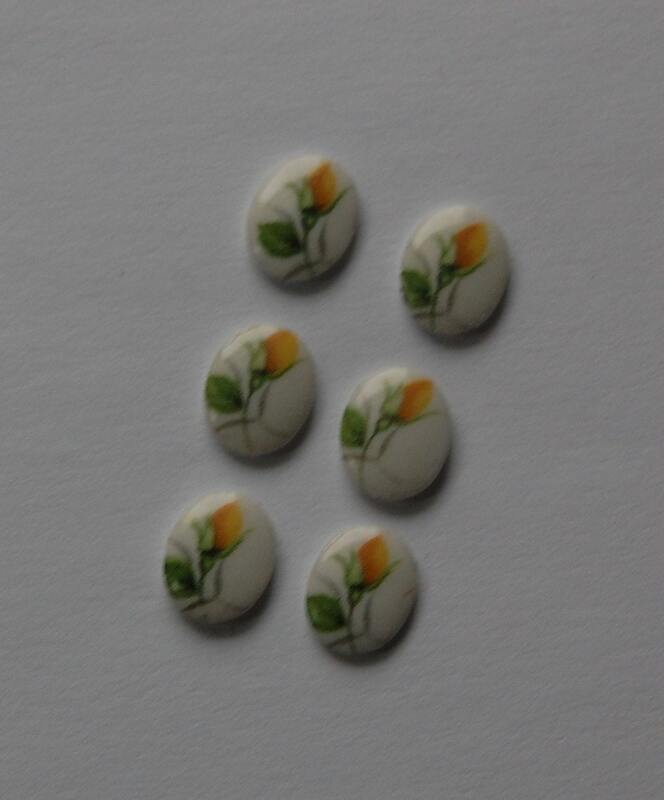 These are vintage cabochons that were made in Japan. They have a single flower bud, rose? tulip? in yellow. These glass cabs measure 10mm x 8mm. You will receive 6 of these. Very concerned with customer's needs!